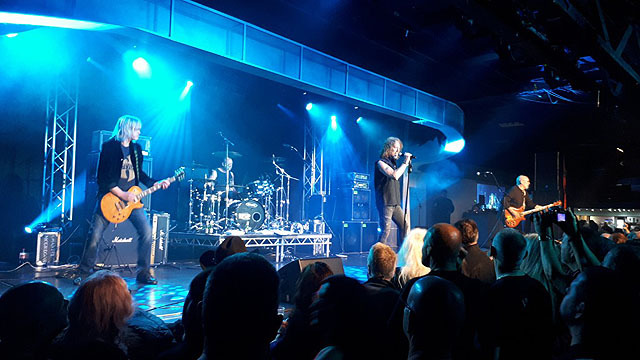 Share the post "Gig review: THE GREAT BRITISH ROCK & BLUES FESTIVAL, Skegness, 19-22 January 2018"
I’ve enjoyed various Butlins music weekends over the years but 2018 will be the first where I’ve done two such weekends on the trot. 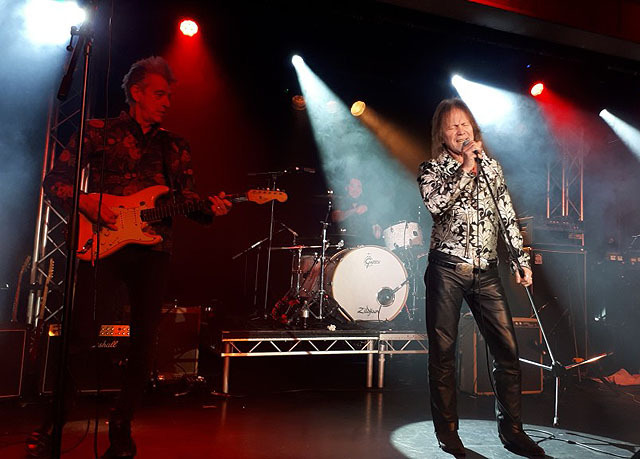 My Butlins blow-out started off with the Rock & Blues weekend in Skegness – with just a few days respite before I head off to Minehead for the Giants of Rock weekend in Minehead. With so many bands on a number of different stages, reviews of weekends like this are always going to be one person’s snapshot but I had a fantastic weekend and this is what I saw. Atomic Rooster on next were, for me, probably the biggest surprise of the weekend. They are one of those bands that I’d always been aware of but was never really that familiar with. Other than knowing they were formed by the late Vincent Crane (the guy who did the unmistakable keyboard pounding in Arthur Brown’s ‘Fire’) before this weekend I could have told you very little about Atomic Rooster. But they were absolutely, out-of-this world, stupendously, brilliantly, amazing. Vincent Crane and the rest of the earliest line-up are sadly no longer with us. But the revived band contains both Pete French on vocals and Steve Bolton on guitar who were both in the band in the early 70s and they have been given the blessing of Crane’s widow to reform under the Atomic Rooster banner. They have the songs, the set-list, the charisma and the sound. Really, this band should have been far, far bigger than they were back in the day. Similarly, the modern-day version should be far, far better known than they are today. Absolutely majestic classic rock that stands proudly against any of the rock giants, I will be seeing more of this band for certain. Saturday evening began for us with the legend that is Bernie Marsden. I’ve seen Marsden in various guises over the years: with a full band playing acoustic, solo playing acoustic, with a full band playing an electric blues set and, back in the day, with the best Whitesnake line-up ever. Whether electric or acoustic he’s a stunningly good guitarist and he gave us a solo acoustic set of mainly Whitesnake material. His is never a showy stage presence but few ever look as contented or as at home on stage as does Marsden playing his music and bantering with the crowds. I left my companions to enjoy Roger Chapman Family & Friends while I headed off to the Blues Matters Stage to catch Troy Redfern. With a classic power trio format they deliver infectiously energetic hard rocking blues that just seems to get better and better every time I see them. I thought I might call it a night after that but then came Rainbreakers. They are a group of young guys from Shrewsbury playing a small stage Skegness in 2018 but to hear them they could have been playing some sun-kissed stadium in California in 1971. Channelling the spirit of the classic era of soulful early 70s blues rock they were one of the absolute highlights of the weekend and went down a storm. Great writers, great musicians and great vocals; this was an utterly spellbinding performance from start to finish. 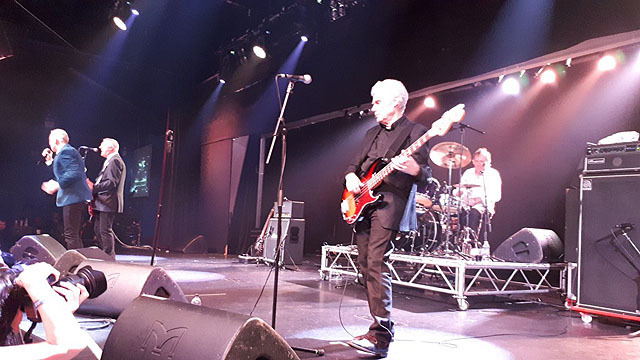 From only one original member in Nazareth to zero in Dr Feelgood, we head over to the main Blues Stage to finish the weekend with Canvey Island’s finest. Unfortunately, there seems to have been some sound problems on that stage all night. The band start much later than advertised and from where we were on the right-hand side at the front the sound was utterly abysmal. All I could hear was the bass-line and the drums, the guitar and vocals being pretty much drowned out. They are great songs, though, and we all know them. Singing along to these was a good way to finish the weekend and I came away being far more familiar with the bass-line in Dr Feelgood’s illustrious back-catalogue than I’d ever been before. Probably the most fun I’d ever had at a performance with shockingly bad sound. 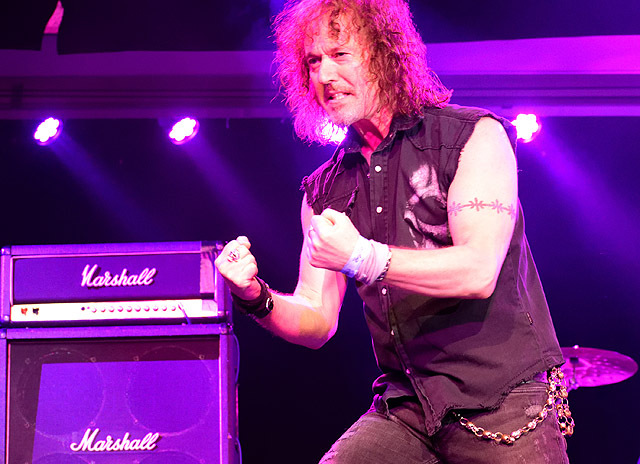 This entry was posted in All Posts, GIG REVIEWS, Special Events and tagged 19-22 January 2018, Atomic Rooster, Bernie Marsden, Butlins, Dr Feelgood, festival, Nazareth, review, Skegness, Stray, the Great British Rock & Blues Festival. Bookmark the permalink.